For 25 years, CTC has been an independent adviser to local governments nationwide on wireless siting issues. Working on behalf of our clients, we have collaborated with wireless carriers and their site selection contractors to optimize the site deployment process. Our expertise includes small cell deployments, distributed antenna system (DAS) networks, and macro cell installations. In the course of representing our municipal clients, we have developed strong working relationships with all of the major mobile wireless carriers and an in-depth understanding of their investment patterns, deployment plans, and site selection criteria. CTC plays a key role in helping local governments balance the carriers’ need for a timely, fair, and consistent approval process with the public’s interest in minimizing the impact of wireless infrastructure in their communities. As an independent wireless facility coordinator and advisor, we provide our public sector clients with independent engineering analysis of proposed wireless projects. We then work to minimize the impact of wireless infrastructure on communities while maintaining the goals of quality service to the benefit of providers and users alike. To date, we have reviewed more than 4,000 wireless applications—assisting the governments, when appropriate, with outreach and information for stakeholders and the public. In addition to reviewing the technical aspects of wireless siting applications, CTC provides administrative support to local government tower siting committees. We document the wireless siting applications, record minutes of committee meetings, and lead committees through their reviews of each application. Our team also meets with interested citizens and community groups to discuss their concerns and to provide information regarding specific siting applications. During the wireless facility siting process, CTC also serves as the liaison between local governments and wireless service providers. We often work with agencies and carriers to facilitate co-location of new wireless equipment at existing locations—an alternative to building new structures, which is a key objective of the siting process in many communities. Our wireless engineers have decades of collective experience with a range of technologies, including staff who formerly worked for the Federal Communications Commission (FCC). CTC’s engineers have submitted technical guidance to the FCC on various proceedings related to rights-of-way and other telecommunications facilities siting issues. 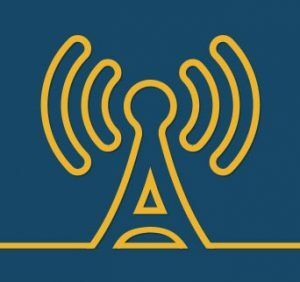 We have also overseen the implementation of wireless networks, including the National Capital Region’s public safety microwave network, implementation of a 4.9 GHz public safety and traffic communications system for the State of Delaware, and hybrid Wi-Fi/public safety networks with citywide coverage in Palo Alto, California, and Port Angeles, Washington. In addition, CTC’s team includes individuals who have previously led carrier site acquisition efforts and sales efforts for national fiber optic carriers. In recent years, we have reviewed applications to construct wireless facilities for Baltimore and Carroll counties in Maryland; Blount County, Tennessee; and the cities of Rolling Hills, California, Scarsdale, New York, and Huntsville, Alabama. As needed, we provide expert testimony at public meetings and in negotiations with wireless carriers and tower companies. As a result of the passage of Virginia Senate Bill 1282, the County faces new rules concerning wireless siting. To address those new requirements, CTC assisted the County in developing a new streamlined wireless facility application for small cell and microcell attachments. Based on our experience, we drafted an application that requires applicants to demonstrate that the installation conforms to the definition of a small cell or microcell; provide proof of the applicant’s permission to utilize the structure that will be used; and submit engineering specifications and other details essential to the County’s proper evaluation of the application. The application balances the County’s need to improve wireless service for the public while also addressing citizen concerns. CTC is the designated Coordinator for the Montgomery County, Maryland Telecommunications Facilities Coordinating Group (TFCG). The TFCG model, which we created for the County, has been highlighted nationally as an example of best practices in this field. We provide technical engineering support, coordinate and review telecommunication carrier applications to site transmission facilities in the County, conduct physical inspections of proposed siting locations, review applicants’ RF engineering submittals, and provide recommendations to the TFCG on each siting request based on zoning standards and other parameters. We also ensure that the County complies with the FCC’s “shot clock” for processing applications.